Image credit: John Tewell on Flickr. 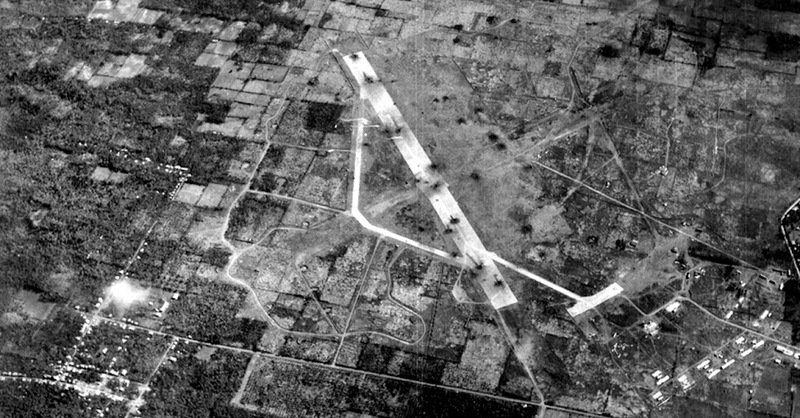 Lipa Airfield seen from the air in WWII. Many historical accounts have already been written about Fernando Air Base. Thus, or so I thought to myself, if I wrote one at all, it would be one that would avoid the trap of being generic. After all, Fernando Air Base was where I was born and where I spent my formative years. To this day, I have nothing but fondness for this almost 300-hectare military facility. The base was built over what used to be a sugarcane field by the United States Army before the outbreak of war in the Pacific in 1941. This is according to the World War II and Korean War oriented web site Pacific Wrecks. Tony Feredo, a History enthusiast and owner of the ShellWings web site, sent me further information about the airfield that the Japanese had reconstructed. 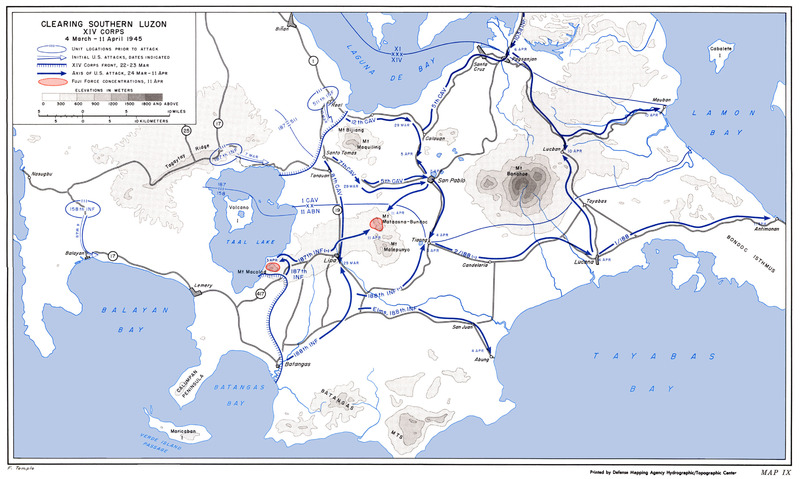 According to him, the airfield was known to the Japanese as the Lipa West Airfield. It had two runways. One was made of concrete with a length of 4,140 feet and ran from northeast to southwest. The other was made of sod with a length of 4,593 feet running west-northwest to east-southeast. What is not so well-known these days is that the Japanese, in fact, built a second airfield known at the time as Lipa East Airfield. According to Feredo, this airfield had a single runway but had taxiways; and a sketch of it appeared in the diary of a Col. Tonegi, Commanding Officer of the 33rd Air Sector, 149th Airfield Battalion of the Japanese Army. Image credit: Tony Feredo. Col. Tonegi's sketch of Lipa East Airfield. Plotted on Google Earth, Lipa West Airfield was pretty much in what is present-day Fernando Air Base while Lipa East Airfield appears to have been in what is presently San Salvador, a village of Lipa City. 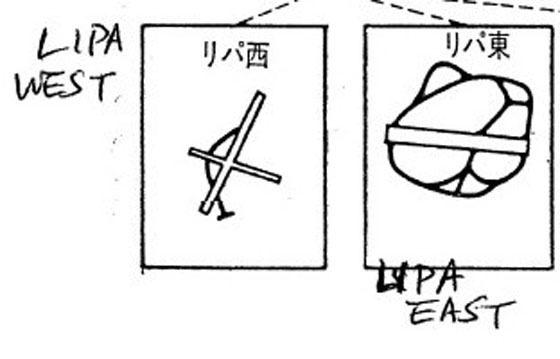 I have also seen references over the Internet documenting United States aircraft attacks on a Calingatan Airfield distinct from Lipa Airfield later in the war. I wonder, albeit I have found no evidence yet to support my conjecture, if Calingatan Airfield was, in fact, the same as Lipa East Airfield. Calingatan, after all, is a stone’s throw from San Salvador. Image credit: Tony Feredo. 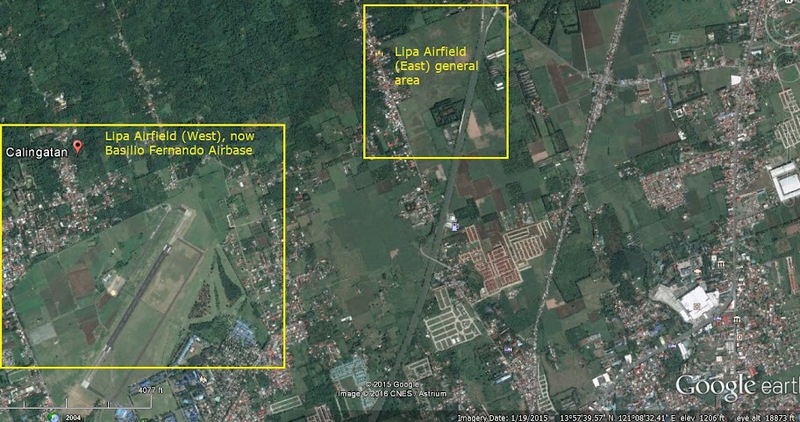 Google Earth plot of Lipa West and East Airfields. I could find no other documents over the Internet about Lipa Airfield during the Japanese occupation; but its history came to life again in 1944 when the tides of war had changed and the Americans were starting to push the Japanese back. Image Credit: United States Department of Defense, Army, Center of Military History. 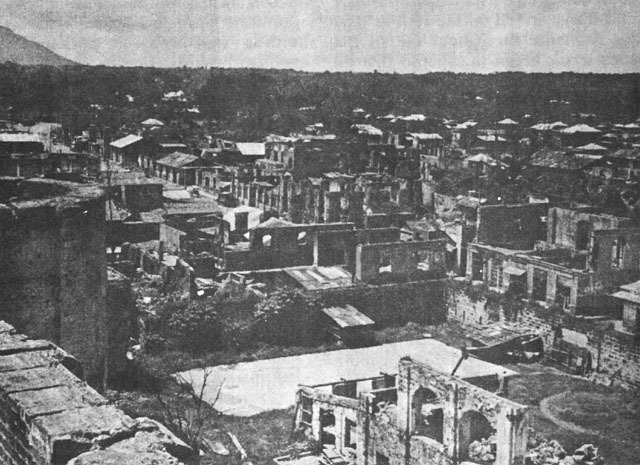 The 11th Airborne was encamped at the newly built Lipa Airbase in May 1945 when news broke that Germany had surrendered and that the war in Europe had ended. The division, which played such a storied role in the war in the Pacific, would be called into action for the last time in Luzon just two months later when they flew from Lipa Airfield to reclaim Aparri Airfield in Cagayan. We all know, of course, the “Northern Luzon” in the previous paragraph is erroneous. Image credit: HyperWar: US Army in WWII. 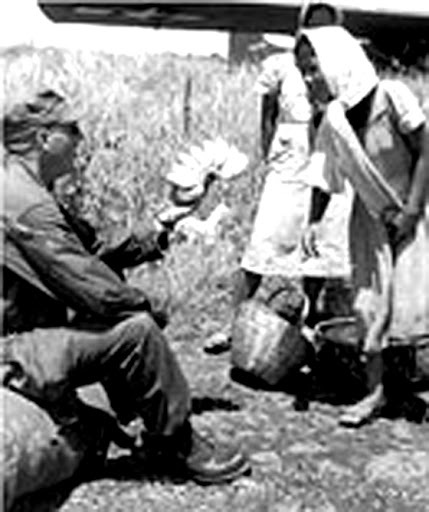 A US soldier buys banana from a local vendor while waiting to be shipped out to Okinawa from Lipa Airbase.